Panorama 16 is beautifully furnished, bright and spacious! Great value with little extras such sparkling wine on arrival. Located in a peaceful area yet only a short buggy ride to the main resort areas. Beautiful west facing water views - enjoy stunning sunsets from the balcony! With timber floors throughout, spacious balcony with 6 seater dining table and stunning views, open plan design and a master bedroom with its own separate balcony and sunlounge, Panorama 16 is hard to pass up! 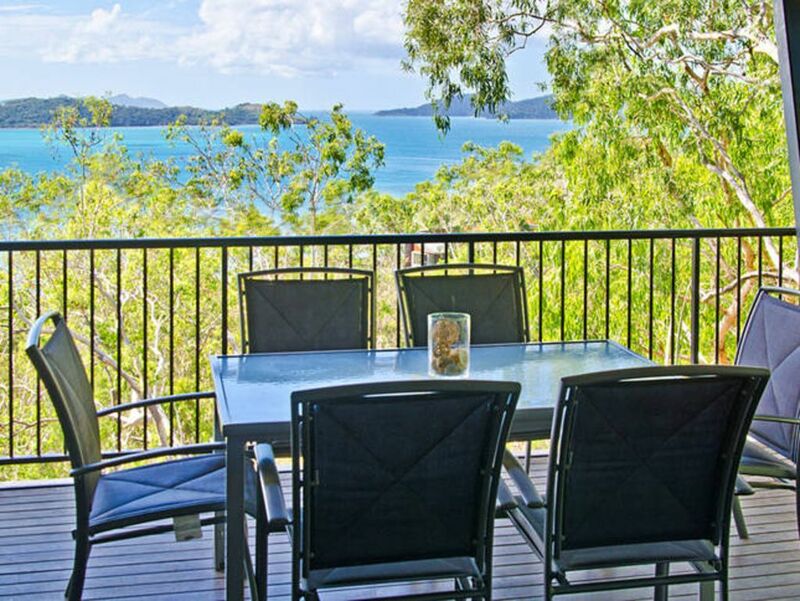 The design, the view and the location make Panorama 16 an ideal choice for your next holiday on Hamilton Island. Panorama 16 can sleep up to 7 with the use of a rollaway bed and a double sofa bed. Baby is well taken care of with portacot and highchair. Another great bonus is that the Shorelines townhouses are just next door to the Panorama group. Great location and is ideal for families or a large group travelling together! WIFI - There is a prepaid internet device available in the apartment. You must log onto the Telstra website and recharge according to your data requirements. Lovely spot and apartment is well equipped. Lovely spot and the apartment is well equipped. Beautiful views. Comfortable and relaxing and plenty of room for a family. Convenient location close to the marina and restaurants. Highly recommend this lovely place.